The Oxford Universal Dictionary (third edition) defines “superstition” as an “unreasoning awe or fear of something unknown, mysterious, or imaginary, esp. in connexion with religion; religious belief or practice founded upon fear or ignorance.” Sailors are believed to be members of the third oldest occupation, and some superstitions involving the sea date back to ancient times. 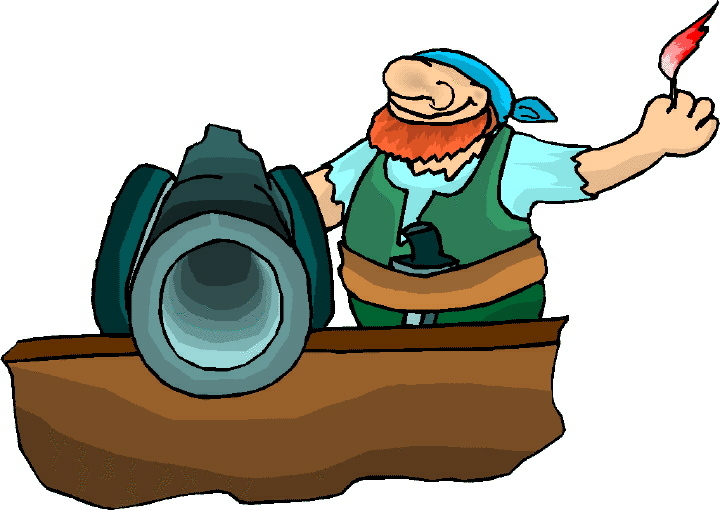 Before going on the account, pirates sailed on merchant or naval ships, or were privateers. Whether outlaw or not, these men (and women) lived in a time when many things were unexplained and feared. Life was hazardous, and superstitions explained why people suffered such misfortune and how they might avoid this fate. When we pair pirates with animals, those that first come to mind are parrots, monkeys, rats, birds, and fish. One might think the first two are something of a myth where pirates and sailors were concerned, but in actuality some did acquire these exotic creatures. Unlike Captain Barbossa’s monkey in Pirates of the Caribbean, these animals were often sold for profit, rather than kept as pets. Rats weren’t pets, either, but they sometimes populated ships more so than people, and history has deemed them responsible for spreading the plague throughout Europe during the Dark and Middle Ages. Sailors believed these rodents, which lived in the deepest and darkest places on a ship, knew before anyone else that death or misfortune was near. If rats scurried from the ship just before she sailed, the ship was doomed. Woe be the sailor who slew the albatross, though, for this bird was thought to be the restless soul of a dead sailor. The mariners’ plight worsened after the albatross’ death, so there was only one thing that would save them. They must tie the carcass around the murderer’s neck, then lash him to the mainmast, where he stayed without benefit of food or drink until the tempest ended. 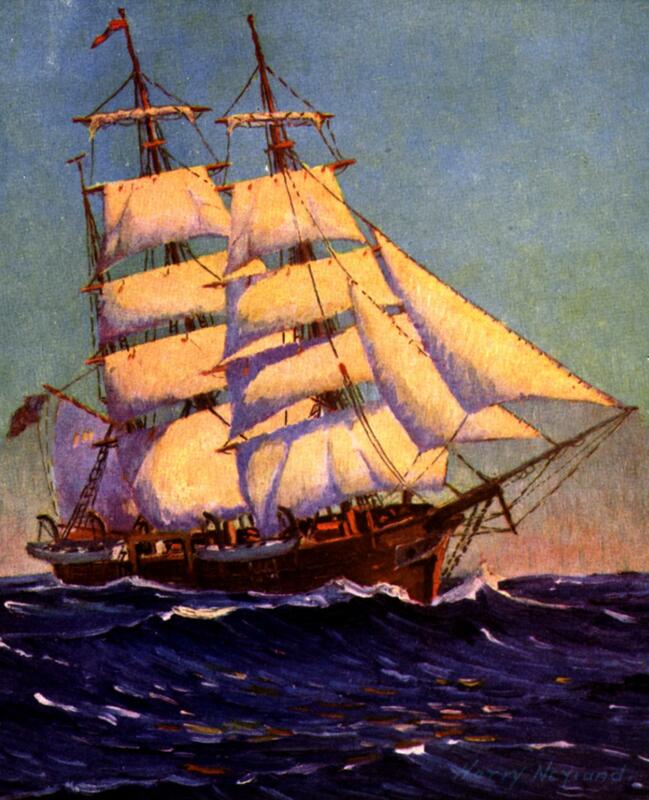 Lest you think this superstition only appeared in Coleridge’s poem, Topman William Cammell was aloft aboard the Speedwell in October 1718 off Cape Horn. Ice coated the masts and rigging, and while furling the mainsail, he lost his grip and fell into the ocean, where he drowned. Mr. Hatley, a mate aboard the vessel, soon spotted an albatross and believing it a bad omen, he shot it. History doesn’t say whether the crew adhered to the requirements for breaking their bad luck, but the Spanish imprisoned Hatley, and he was never seen again. Sharks and turtles were other creatures connected with luck. If sharks followed in the wake of a ship, someone aboard would soon die. They patiently waited for their meal to be consigned to its watery grave. Pirates often dined on turtles, but if they killed one and didn’t eat it, they had bad luck. Sailors who carried turtle bones in their pockets, on the other hand, enjoyed good luck. Manta rays, also known as devilfish or sea devils, were feared as much as sharks, for sailors believed these sea creatures could attach themselves to a ship’s anchor and drag her under the waves to Davy Jones’ Locker. Weather played an integral role in the fate of ships and sailors. This was why sea-going vessels often had a figurehead adorning the bow. It was believed that a ship couldn’t sink as long as the figurehead remained attached. During a fierce storm, if a woman bared her breasts, the storm would abate. This is why barebreasted women are often seen as ships’ figureheads. Legend says that Saint Erasmus, also known as Saint Elmo, died during a sea storm. Just before his demise, he promised the crew he would return and show himself in some form if they were to survive the tempest. Not long after, the sailors saw a mysterious light at the masthead of their vessel and assumed Erasmus had kept his word – they would not drown. 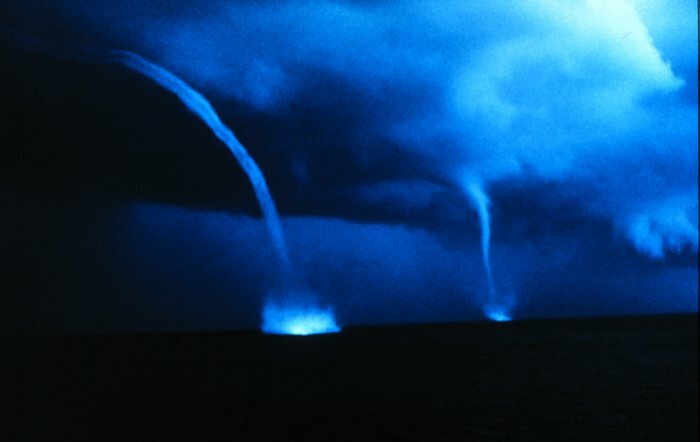 This is why the electrical discharge that creates the bright lights seen around a ship’s masts and yards during a storm is called St. Elmo’s Fire. Sailors believed its appearance was a sign that the worst of the storm was over, and as long as the light remained high among the masts, luck followed them. If it shone on the deck, though, bad luck was certain. If the light ringed a man’s head, he would soon die. Sailors prefer not to set sail on Fridays. This superstition comes from the Norse myths, for that was when evil witches gathered. It is also the day that Jesus was crucified. To sail on Friday the thirteenth was to doubly jinx the voyage. The seventeenth and the twenty-ninth of any month, however, were good days to set sail, particularly if the sailors’ voyage would last many months. Mermaids were beautiful ladies with tails like a fish. In 1608 Henry Hudson recorded that two of his men – Thomas Hilles and Robert Rayner – sighted one of these seductive sea creatures. This morning one of our companie looking over boord saw a mermaid, and calling up some of the companie to see her, one more came up and by that time shee was come close to the ships side, looking earnestly on the men. A little after the sea came and overturned her. From the navill upward her backe and breasts were like a womans, as they say that saw her, but her body as big as one of us. Her skin very white, and long haire hanging downe behinde of colour blacke. In her going doune they saw her tayle, which was like the tayle of a porposse, and speckld like a macrell. While fascinating to watch and oh so lovely, mermaids had to power to lure sailors to their deaths. Death was a common occurrence in the Age of Sail. The dead body was placed in the man’s hammock and two cannonballs placed at his feet. These prevented the departed sailor from following the ship. The sailmaker sewed thirteen stitches to close the hammock, and his last stitch pierced the departed’s nose. This guaranteed that the sailor was truly dead, kept his body in its coffin, and thwarted his ghost from appearing on the ship’s decks after burial. One of the more feared elements on a ship was a Jonah. Anyone with a deformity, disliked, or was unlucky in any way might find himself considered a Jonah. This sailor often found himself singled out and abused until he was sforced off the ship. In the film Master and Commander, the oldest midshipman (who has yet to pass the exam that would allow him to be promoted to lieutenant) finds himself deemed a Jonah after a series of misadventures occur. An old sailor, who’s very superstitious, spreads the word amongst the crew, who begin to abuse him until he fears being around the men. The midshipman eventually decides the only way to change things is to die, and so he takes hold of a cannonball and jumps overboard. His sacrifice turns the tide and good fortune returns to the ship. These are but a few of the many superstitions associated with the sea. Remember when the earth was thought to be flat? Sea monsters and other unknown horrors loomed at the edges of the oceans. The first navigational charts included drawings of these creatures, but men like Christopher Columbus, William Dampier, and other mariners dared to venture where others had yet to dare. 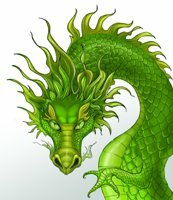 Although they didn’t encounter the dragons and devils thought to inhabit these unknown regions, they came face to face with rogue waves, hurricanes, water spouts, and many other things equally dangerous. The ancient mariners heeded omens, superstitions, and signs to survive their journeys. They handed down this knowledge to younger sailors, who followed the advice religiously throughout time so that they, too, might return home to family and friends. Clarey, James. Superstitions of the Sea. Maritime History in Art, 1994. Jeans, Peter D. Seafaring Lore and Legend: A Miscellany of Maritime Myth, Superstition, Fable, and Fact. International Marine/Ragged Mountain Press, 2004. Knowlson, T. Sharper. The Origins of Popular Superstitions and Customs. 1910. Lamont-Brown. Phantoms, Legends, Customs and Superstitions of the Sea. 1989. Lorie, Peter. Superstitions. Simon & Schuster, 1992. Radford, E. and M. A. Encyclopedia of Superstitions. Barnes & Noble, 1961. Redicker, Marcus. Between the Devil and the Deep Blue Sea. Cambridge University Press, 1999. Spectre, Peter H. A Mariner’s Miscellany. Sheridan House, 2005.